How much would it cost to develop an IoT based proof of concept (PoC) for Smart Farming System? BI Intelligence has predicted that IoT device installations in the agricultural world will increase from 30 million in 2015 to 75 million in 2020. IoT for farming, an intriguing concept indeed if the whole picture of current agricultural ecosystem is considered. Homosapiens of 21st century will find it hard to survive without internet, smartphones and all the innovations which have happened in recent years, albeit the primary necessities of human species to survive are air, food and water. A hell lot of factors are affecting farming industries and productivity of goods that are necessary for human living. Ever increasing global population and consumption needs, global climate changes resulting heat waves and cropland reductions are directly impacting the global environment and productivity of goods of survival. As a consequence, farming industry bears enormous losses, which amounts USD 310 in developing countries considering food waste. This situation calls for a change and cutting edge technologies like Internet of Things (IoT), Machine Learning (ML) and cloud computing can certainly help in overcoming most of these problems with the concept of smart farming leveraging IoT app development. What if your plants want to talk to you? IoT based smart farming solutions certainly make it possible. Innovations around IoT have transformed farmers and growers. 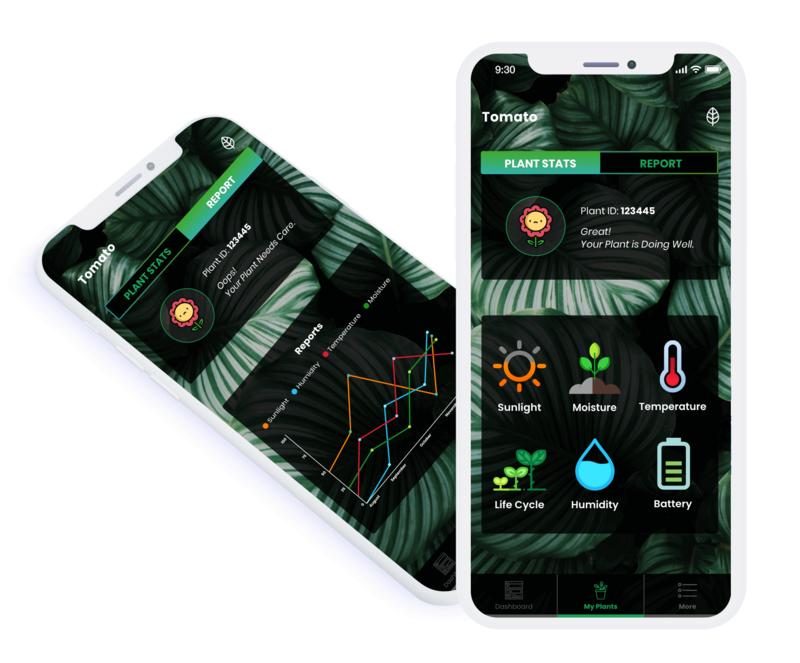 Leveraging IoT based custom web and mobile app development on Android and iOS platforms farmers and gardeners can now monitor all the information about plantations through mobile apps. A smart water management system can also be implemented to control the wastage and give the crops or plants precise amount of water they need. Let’s Nurture, the leading IoT solutions providers in India, has developed a functional MVP on Smart Plant and Smart Water Management System using smart sensors and ESP module. Following sensors are used to build a hardware platform which can interact with mobile applications through cloud in real time. Smart farming is a concept which can encapsulate multiple technologies like GPS, Geofence, smart sensors, big data, cloud computing to monitor and optimise assets as well as productivity. From production to logistics, ICT based decision support systems provide real-time information concerning all aspects of farming. This leads to improved efficiency in making right decision whilst reducing the amount on waste. Awareness to overcome the environmental issues along with efforts in reducing the overall costs has encouraged the concepts of private urban plantations and precise farming on small, medium and large scales. These are good signs indeed for a better tomorrow. Connected farms, a result of IoT based farming solutions, help to enhance overall agricultural productivity, minimise operational costs, effective asset/ resource management and address issues such as healthy food demands and scarcity of goods due to deforestation. Looking to develop IoT based Proof of Concept (PoC) for Smart Farming? PoC or MVP development before jumping to provide IoT based solution on a large scale is the most preferred choice. With minimal investment, it is the best way to understand the market and user needs to provide a viable and long term solution to niche customers. IoT based PoC development for Smart Farming will directly help people who are seeking smart solutions for private/ urban plantation and precision farming on small, medium or large scales. We offer tailor-made solutions for smart farming and plantation which will let users to have all the data require on mobile applications. IoT based precision farming results in cutting down operational costs because the process will be automated with precise use of resources like fertilizers, energy and water to avoid excessive usage or wastage. With Let’s Nurture, the total cost of developing IoT based PoC for Smart farming will be in the range of $10000-$11000. This range will include the per unit cost which will cover 0.7 m3. Let us see the basic features which can be availed through IoT based PoC for smart farming. USD $10000-$11000 with Web Admin + Mobile App (Android & iOS). It uses smart sensors measuring the various parameters and create a perfect condition for the growth of the plant. With a simple yet attractive design, the main feature of Smart Pot is the automated water supply as per the need of the plant. Based on the data gathered, we can use Machine Learning for users to do predictive analysis. With predictive analysis, we can share recommendations for users to improve overall efficiency and quality of plantation at the lowest possible operational costs. We have a database of water, sunlight and temperature of Indian plants of all types. Based on that users will get smart notifications what exactly is needed for a crop they are going to plant. Once the value of any parameters reaches threshold, a push notification is sent to the users to notify what the plant needs. Why Choose Let’s Nurture as your IoT Solutions Provider & partner? We are confident to be the best in this business as we have expertise in working with smart sensors and microcontrollers along with custom web and mobile application development services. Having delivered multiple projects and prototypes for smart agricultural solutions, we offer deliverables with cutting-edge technologies and innovations. We always aspire ourselves to cater innovations which can enhance human lives and are eco-friendly. We also wish to provide health-conscious working professionals with automated and self-regulating indoor planting system monitored through mobile applications. If I want to install this Smart farming solution, what would be the cost per acre? The cost will depend on the number of sensors and price of sensors used to built the hardware along with the area to get into monitoring and usage. The development and installation cost per acre land would be in the region of USD3000-5000. When the ROI is expected if this IoT based Smart farming solution is implemented in 1 acre area? Based on Food Productivity you can recover in 3 years. But if we consider other factors such as labour cost saving, climate change help due to water usage optimisation and AI implementation, it can go to exponential. Can you automate lighting, irrigation & fertiliser intake with this IoT based Smart farming solution? We can do that certainly. We also have developed solutions on home automation and Smart water management. This solution will also cater to smart irrigation technique and automated fertiliser intake when needed. 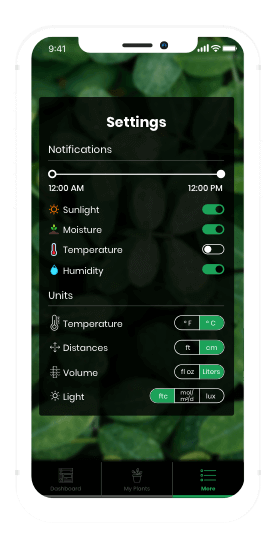 The whole system will is built in a manner in which users can have the notifications about the current status of the crops. From water to fertilisers. 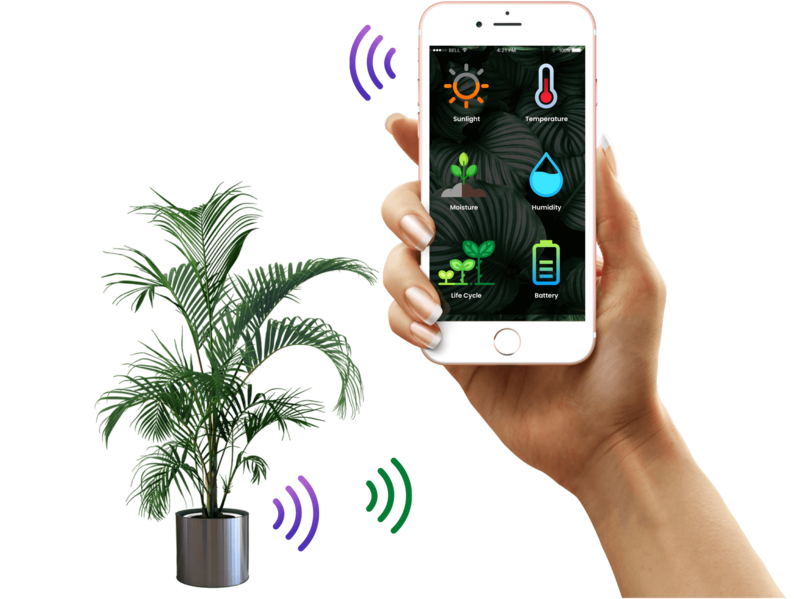 Do you provide the hardware for this Smart plants? We design and develop custom hardware with the help of our in-house IoT engineers. Our complete solution of hardware and software give access to the users for 5000 kms by connecting our solution to Lorawan. Can I get a live demo by your team? Of course, we do offer a live demo for all our IoT solutions we have developed to all our clients. We insist our client to go for a live demo in order to know their clear understanding about the solutions we provide, hence we can do the custom changes as per their business requirements to deliver a robust and perfect solution. Will you help installation of the Smart farming system? Our engineers will visit the area beforehand and also will be at your place for the installation of Smart farming system. We train our clients on every aspect to make sure that proper functioning of the system is understood with all the features. Can you provide option to hire dedicated web and mobile developers for my IoT based Smart farming solution? Yes, we do provide flexible hiring models consisting highly skilled and certified team of resources (web developers, Android app developers, iOS developers, IoT Programmers) which are well versed in mobile app development projects for diverse industries using latest and cutting edge technologies. Have an !dea to develop an Smart Farming System?